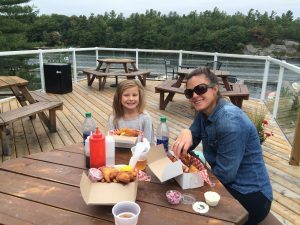 Paynes Dockside Fish Chips in Pointe au Baril, is the destination for the very best Pickerel on Georgian Bay. Their signature beer batter and tarter sauce are made from scratch every day and one bite will leave no question that this is FRESH FOOD, not fast food!!! Their menu includes delicious appetizers, a signature 8oz homemade bbq burger as well as a kids menu. Their business is all about quality. Whether the food, the service, or the atmosphere, at Paynes Dockside Fish N Chips, They strive to offer every customer an exceptional experience. 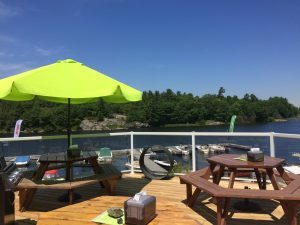 Their gorgeous, licensed, patio over looks the main channel with a commanding view while you enjoy your meal and sip a cold Steam Whistle draft or glass of wine with your meal. Their are located at Payne Marine, on the main channel in Pointe au Baril. Note: No indoor dining option available.